This is a new replacement fuel sending unit screen or "sock" filter. Unit is available in 2 sizes so please use the drop down menu below to select size needed. This screen prevents dirt and debris from leaving your fuel tank and entering the fuel system and carb. 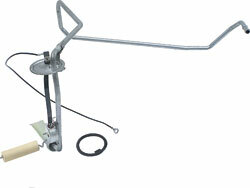 This is a correct replacement of the original locking ring which secures the fuel tank sending unit to the gas tank. 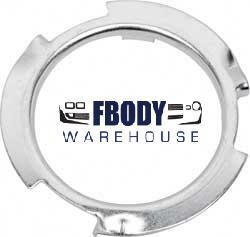 This locking ring replaces the original which are commonly destroyed when they are being removed. This ring helps to seal the sending unit gasket to the tank.